Your human resources program should include plans for employee addiction recovery. Why? Consider a study by the National Institute on Alcohol Abuse and Alcoholism. Nearly 33 million or 14 percent of American adults have alcohol problems, but weren’t getting help. according to the 2013 report. And the problem is growing — among executives, mid-level managers and workers, alike. The aggregate impact? Alcoholism resulted in $6.5 billion in medical expenses in 2014, says a study by the Organization of Economic Cooperation. Such healthcare issues portend a major headache for the typical human resources department. HR departments are responsible for compliance, compensation and benefits, employee relations, recruiting, safety, and training and development. More and more, HR is expected to be strategic – to align HR strategies with business goals. So how can HR support a company’s business strategy with uncertainties created by alcohol-dependent workers? With strategic planning. With addiction having a huge adverse impact on productivity and safety, you cannot ignore health and safety risks. Nonetheless – as far as practical – it’s a moral and legal obligation for employers to try to help employees resolve their addiction issues before issuing dismissals. There are all kinds of ominous signs. They’re not limited to performance. 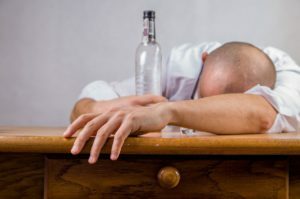 Certain types of alcoholics can still perform well on the job. Many don’t. But such employees have deteriorating relationships with other employees. Their behavior continues to worsen. Always remember an alcoholic will go to great lengths to protect a drinking habit. Denial and dishonesty are common. It won’t do you any good just to tell an alcoholic or a drug addict, for that matter, to stop their addictive ways. The good news about alcoholics is that often they’re easier to reach than drug addicts. They become remorseful sooner. Drug addicts tend to be more dishonest. So know how to approach your employees. Ask the right questions. All the while provide a supportive environment. It’s best not to judge but merely seek solutions. Alcohol and drug-dependent employees are frightened at the prospect of being found out. They scared to admit they have a problem. They fear losing their job. Be sensitive to the problem and the employee’s feelings. At company parties and functions, make it OK not to drink. Create a positive culture and environment. Even if workers stop their denials and admit to their drinking problems, they face a long, hard road. Most will fall off the wagon repeatedly. For a long duration – in early stages of recovery – it will seem that no amount of treatment or attendance at Alcoholics Anonymous will work. Provide adequate support to help these people get well. If your workers feel a supportive workplace, they’ll admit their problems more readily and will work hard to improve themselves. For alcoholics, the best source for recovery is Alcoholics Anonymous. For family and friends of alcoholics, Al-Anon is suggested. For teenagers of alcoholics, Alateen is recommended. For drug addicts, visit Narcotics Anonymous. For family and friends of drug addicts, see Nar-Anon.